Many people assume that to get the best quality of print out of a printer, you need to use original ink cartridges direct from the manufacturer themselves, the much cheaper price tag of compatible versions putting them off, rather than luring them in. However, you can achieve the exact same results with compatible cartridges and save yourself a packet in the process. There are, however, a few simple rules to follow to ensure you get the best out of compatible cartridges. Firstly, as with any printer cartridges, ensure the heads are correctly cleaned. Running a cycle to clean the printer heads will ensure the ink flows correctly. You can select this option from the maintenance section of your printer properties. Keeping the ink flowing by using it regularly will also help ensure the heads dont get clogged up, even if that means just printing off a test page every few days. Should neither of these work, dabbing the printer heads with a dry cloth or cotton wool bud should remove any excess, erroneous ink. Next, ensure print alignment is correctly set. Again, this is easy to do via the maintenance section of your printer facilities. 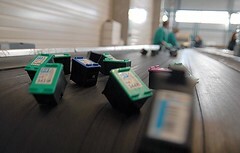 Finally, if you are using compatible ink cartridges you should ensure that they are all compatibles, and you are not mixing them with any original ones. Mixing the two can cause compatible cartridges not to be recognised or, equally importantly, can have a detrimental effect to the quality of print. 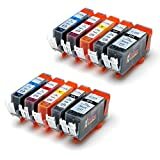 The ink in compatibles is mixed in such away as to be used in conjunction with the other compatible cartridges in the printer. This may be different to that of the originals and therefore may produce a different colour entirely or a weak, tired look. Following these simple steps, you can ensure you get the best possible print, the cheapest possible way. 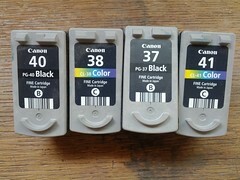 The Article is written by internet-ink.co.uk/ providing ink cartridges and printer ink Services. Visit http://www.internet-ink.co.uk/ for more information on internet-ink.co.uk/Products & Services___________________________Copyright information This article is free for reproduction but must be reproduced in its entirety, including live links & this copyright statement must be included. Visit internet-ink.co.uk/ for more services! There are so many different printer cartridges available. It is up to you to decide which one is most suitable for your printer. When you buy a printer cartridge, make sure you take into account the cost involved in replacing the cartridge. Printer cartridges come in two types: the combination print head and the ink reservoir cartridge. The combination print head is not economical because the print process is controlled by set circuits and these have to be replaced with every ink replacement. Moreover, they can be refilled only once. The ink reservoir cartridge is considered economical as the print head is not within the cartridge thereby saving a basic expense. 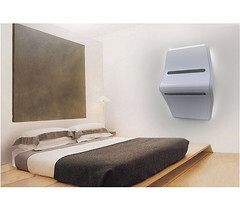 The design is such that compatible units can be produced. Inkjet printers use thermal technology and go by the name of bubble jet printers. Laser jet printers are based on static electricity and the quality is superior to inkjet printers. While using printers, keep in mind that they should be serviced regularly, that the paper used should be of good quality and that correct installation techniques and aligning instructions are followed. If you are buying refilled cartridges, look for OEM or original equipment manufacturers like Canon, Epson, Brother, to name a few. The company’s name on the product is a sign of its authenticity. Generic cartridges give high quality results and are reliable and they are a cheaper option to their branded counterparts. Some names in this field are Hewlett Packard, Compaq, and Lexmark. Remanufactured cartridges are basically recycled cartridges which pass the required test for proper use. 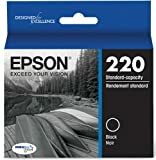 It is necessary to have some knowledge about printers and their use regarding printing output and cartridges otherwise one may end up buying the wrong cartridge. Since cartridges come in different varieties for different jobs, one must have a clear idea of one’s requirements. Accessories can be quite expensive so good research before buying a printer would go a long way in keeping within your budget. 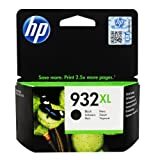 Printer Cartridges [http://www.WetPluto.com/Buy-Printer-Ink-Cartridges.html] provides detailed information on Printer Cartridges, Discount Printer Cartridges, Inkjet Printer Cartridges, Buy Printer Ink Cartridges and more. Printer Cartridges is affiliated with Printer Ink Refills [http://www.z-PrinterInk.com].